The uses of high-cost electronic packages are becoming more prevalent in today’s ever-changing world of combat tactics. In reality, a single bullet or piece of fragmentation can permanently destroy an electronic package causing the vehicle’s communications capabilities to become ineffective. Working with DRS Sensors and Technology, Incident Control Systems developed a highly advanced 3D armor system that completely encapsulates the electronic package without compromising performance. 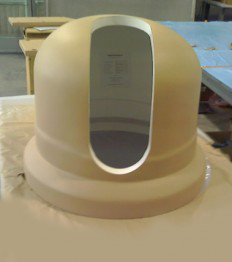 The armored component can be an integrated housing or it can be a bolt-on design. 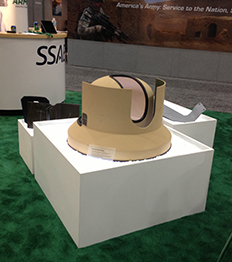 It can rotate 360° and even allow radio waves to transmit through the armor itself.